You would detect a bite in your sleep using this leader with integrated strike indicator. It slips easily through the guides. If treated with Nev-R-Sink fly floatant before use it will float especially high on the surface. With integrated rip-off ring that allows quick replacement of the leader material at the tip regardless of its diameter. 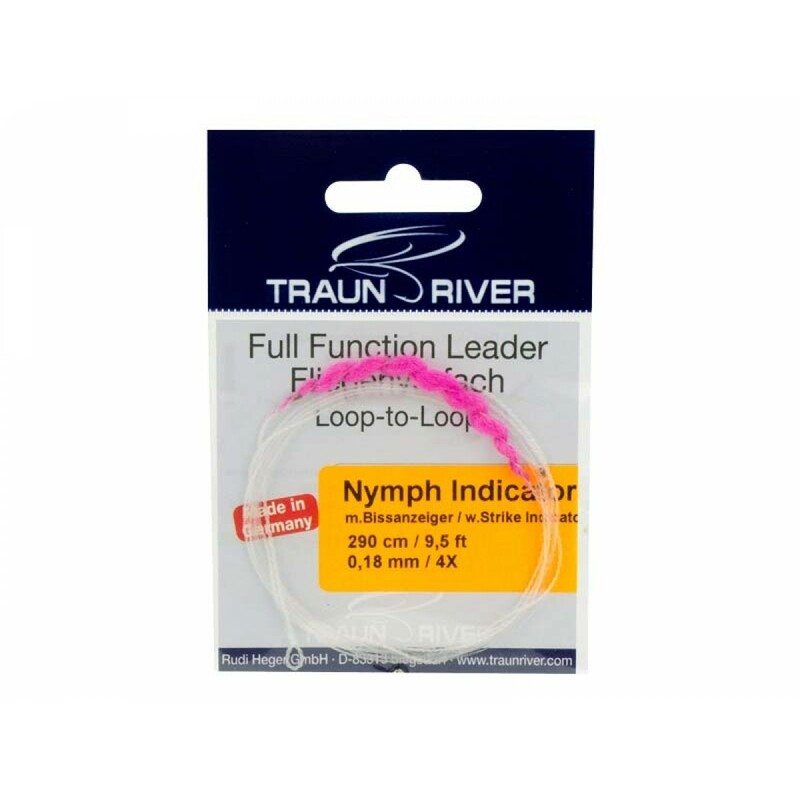 All braided TRAUN RIVER leaders have an elegant loop at the end for easy connection with the fly line. In addition, each of these leaders is equipped with a leader ring, or nylon loop on Dry Fly 8 ft. As a result, the leader strength can be varied and the leader material can be renewed.